If you’re like most people, then you probably love pizza. After all, it is incredibly delicious and incredibly versatile- versatile enough to suit a wide range of tastes. For those who want to make creating a DIY pizza oven a whole lot easier than starting from scratch, it’s best to work with what you’ve got. For example, using a simple outdoor grill that you already have, preferably one made of stone, can make it super easy to create a pizza oven. 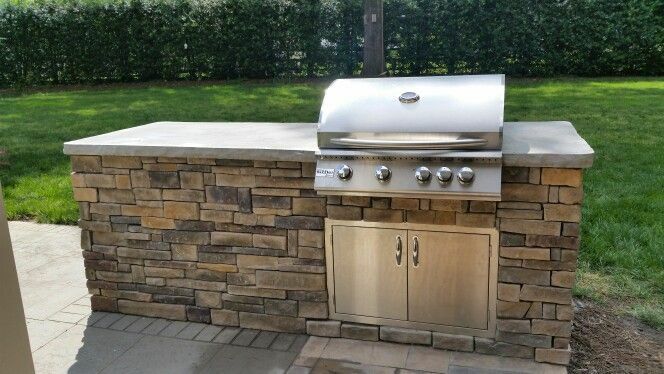 In most cases, you will just have to create an arch above the grill, which you can easily do with brick or stone. This will help to trap in heat and flavor and can take any basic grill from simple grilling machine to true pizza oven. If you’re not into working with brick and/or stone, don’t worry. There are other options for creating a great pizza oven. In fact, one of the easiest and most cost-efficient way is to craft your pizza oven is from clay. To get the job done, you can simply follow this tutorial. It really is one of the simplest ways to make a pizza oven, so, even if you don’t think of yourself as being very “handy,” you can probably handle the clay pizza oven pretty well. While stationery, outdoor grills do tend to work best when it comes to creating a pizza oven that will last for years to come, you can easily create a great pizza oven with just a simple grill. And, yes, we do mean the basic kind of outdoor, charcoal grills that you can get from Walmart or any other store. The key is simply to make a dome over the grill part of the grill. You will need to take the lid off and then, how you build your dome is up to you. You can do it with bricks, with stone, or even with wood. The choice is yours, but this is a very cheap and effective way to create a pizza oven quickly. Just as you can easily turn an outdoor grill into a heavenly pizza oven, you can accomplish the same thing with an outdoor fireplace. So, if you find that your fireplace isn’t getting much use, try insulating it with brick, if it isn’t already thoroughly insulated. Whether or not you’re lucky enough to skip that first step, build a brick dome, slide in a grill grate, and, voila, you have a perfect pizza oven just like that. Another easy way to create a DIY pizza oven is to repurpose a commercial firepit. This is a great way to make delicious, crispy, wood-fired pizza at home. Firepits can be purchased relatively inexpensively or even made from things like old washing basins. No matter what type of firepit you have, as long as you build a suitable dome over the grill part of it, it should make for some very delectable pizza. As you can see, there are all kinds of different ways to create your own DIY pizza oven. 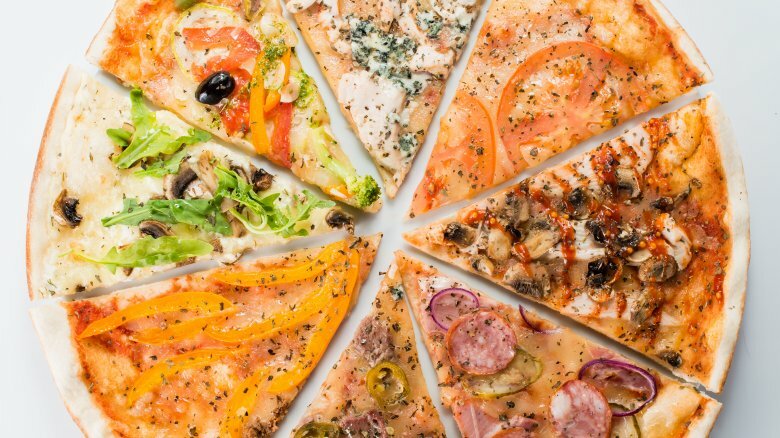 No matter which way you ultimately choose, there are some tips you can and should follow to ensure a perfect pizza each and every time. After all, having the right pizza oven is only half the battle. The first tip we have to insist upon is to always make your own dough. While you can easily buy prepared doughs at home and, while they often do taste pretty good, nothing beats a nice, homemade dough. 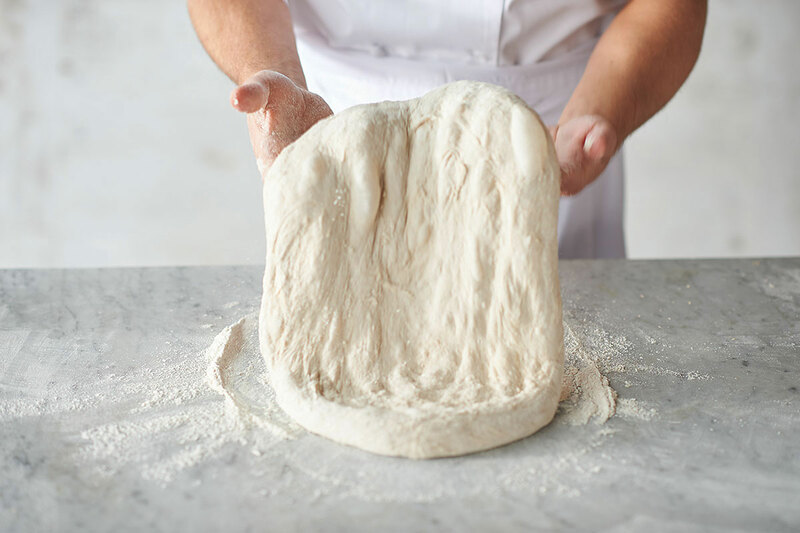 To make a simple yet wonderful dough, we recommend mixing together a cup of flour, a tablespoon of yeast, a tablespoon of extra virgin olive oil, a cup of hot water, and two tablespoons of sugar. Form into your pizza dough and then enjoy. This dough will rise nice and crispy when cooked over a homemade oven. One of the best things about making pizza over a homemade oven is that your dough is going to be right next to the coals or other heat sources. This will result in a crispy, delicious pizza, at least it will if you do not make your dough too thin. Too-thin dough will result in a crust that burns too easily. And, you’ll have to ultimately choose between a burnt bottom and crust or underdone toppings. To avoid this fiasco, be careful that you do not stretch or make your dough too thin. Ideally, your dough should be about 1/8th of an inch thick and certainly not less than 1/4th of an inch. If you can achieve this perfect consistency with your dough, then your homemade pizza made over a homemade oven should turn out just right. When it comes to making pizza, a lot of amateur chefs make the mistake of thinking that one type of flour is just as good as any other. However, that is definitely not the case. Flour types vary greatly, and the type of flour that you choose will ultimately have an impact on how your pizza turns out. For a basic, decent crust, for example, all-purpose flour is not a horrible choice. If you want something a little more pristine, however, upgrade your flour. The ideal, of course, is a soft, chewy crust, and, if that’s your goal, then we strongly recommend high protein flour. You can find this at any store if you look carefully, and it should make a world of difference- in a good way- in how your pizza and its crust and base turn out. 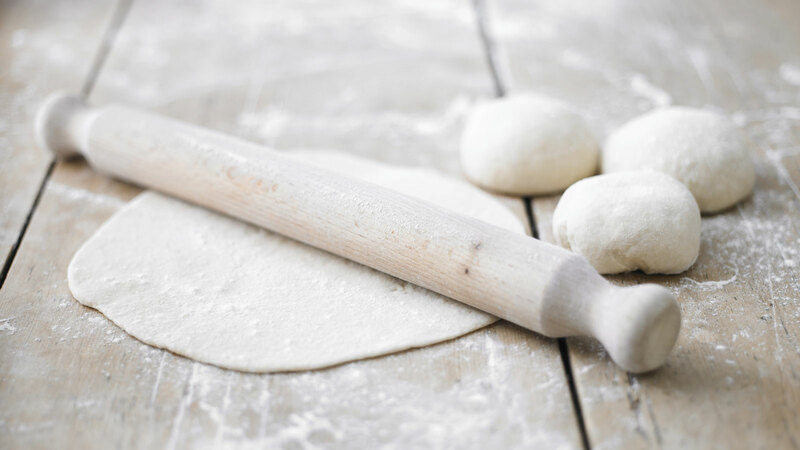 Now that you’re a bit more educated on how to make the perfect pizza dough, make sure you don’t make one common mistake: using a rolling pin. A rolling pin will make for uneven dough and, thus, uneven pizza texture. To avoid this and to get consistent, delicious dough, knead and create your dough by hand. This can be a little tricky at first, but it’s fairly easy to get the hang of. Just knead until your dough is firm throughout and feels consistent. Then, as a final pro tip, always let it sit on a warming oven for a few minutes to allow it to rise and expand to its fullest potential. We promise these simple tips will make for the best dough and the best pizza you’ve ever made. When people make pizza at home, they tend to overload it with too many toppings. After all, chefs are often trying to please a wide range of taste buds. Plus, there’s something about not being limited or having to pay for toppings individually that tends to make people go nuts. As tempting as it may be, however, limit your toppings to two or three choices, each used sparingly. Too many toppings slow cooking time down significantly, which is annoying. But, more than that, it can lead to uneven cooking. Thus, spread your toppings thin for a better pizza all around. And, if you really can’t deal with not having a ton of toppings, cook some separately and then sprinkle them on after the pizza is already cooked and ready to enjoy. One big mistake people often make is putting their pizza in before their oven is thoroughly heated. After all, most homemade pizza ovens don’t have a temperature dial, so it can be hard to tell when your oven is blazing hot. That’s why we suggest firing up your oven during the preparation process. That way, by the time you slide your pizza in, it’s sure to be nice and hot. For a perfect pizza, you want your oven to be at least 550 degrees, but, honestly, the hotter the better! As you can see, there are lots of tips you need to follow for a perfect pizza oven and a perfect pizza. If you can follow our advice carefully, however, you should be able to achieve both with ease.